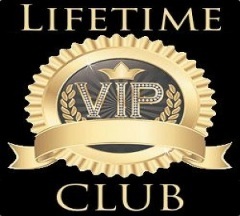 The Lifetime V.I.P. Club is plumbing security for your home! Same Day Service – If you have a plumbing emergency, you don’t want to be waiting days for a fix. With Reeh Plumbing’s Lifetime V.I.P. Club membership, a technician will be there the same day you call. Annual Inspection – Most plumbing emergencies can be avoided outright by having regular inspections – Lifetime V.I.P. Club members get annual inspections at no additional charge. Discount on Service and Repairs – Lifetime V.I.P. Club members receive a 15% discount on each service call! Service Guarantee – If a problem should arise resulting from our work within three years of a service, Reeh Plumbing will send a technician to your home and make it right at no additional cost. Service Fee Reduction – As a member of Reeh Plumbing’s Lifetime V.I.P. Club, you are receive a reduced service fee. Refer to Terms and Conditions. Includes a lifetime warranty on all Deluxe and Premium fixtures provided and installed by our company. Any eligible fixture that fails to perform as designed will be repaired or replaced at no additional charge for as long as your Lifetime V.I.P. Club membership is in good standing. Failure of fixtures through abuse, misuse, neglect, vandalism, freezing, fire, flood, or earthquake will not be covered. The results of ordinary wear and tear such as scratches or finish blemishes will not constitute cause for replacement. Filter changes for water treatment products will be charged through normal Lifetime V.I.P. Club rates while filter systems are covered by our lifetime warranty. In order to ensure trouble-free operation of eligible fixtures, we must thoroughly inspect your home’s entire plumbing system at least once a year, during the first calendar quarter. During this visit our technician will make any necessary adjustments, repairs or replacements of eligible fixtures at no cost to you. Fixture installations must comply with all local codes. Other conditions may be required for eligibility as determined by our technician. These conditions may include, but are not limited to, installation of emergency shut-off valves, a pressure-reducing valve, and waste or potable water-line repairs. Maintenance or alteration of eligible fixtures by anyone other than our company will void warranty. Reeh Plumbing takes pride in our work, our guarantee is watertight on all parts and workmanship. If you’re not completely satisfied with our repairs or appliances, we’ll re-do or replace them for FREE. All of our technicians are state licensed, background checked, and drug tested. Use our online form to Schedule an Appointment with Reeh Plumbing.